And if you are doing something that ruins communication with your dog, you are undoing almost all of the bonding and training you have ever done. We don’t share a language with our dogs, and so it is our responsibility to learn about their body language and their unique ways of communicating with us. Volumes have been written about the many individualistic ways dogs communicate, and this varies from one dog to another – even dogs in the same home. So, imagine my delight when I read an article in late August of 2018 that said that the government in the UK had “announced that electric shock collars for cats and dogs will be outlawed in England.” One small step for man, as they say. Actually, the UK has been quite progressive about this issue for a while with Wales already having bans in place and Scotland following suit on bans at some point in 2018, too. If you are unaware, the UK is pretty progressive where animal advocacy is concerned, even with domestic livestock. For instance, they remain among the few industrialized nations to forbid specific methods and equipment in raising pigs. They did this to ensure the industry is as humane as possible. So, it is not at all surprising that they would take steps to protect domestic animals. In the article about the ban, one expert in canine behavior said that her research had, “demonstrated that electronic devices which deliver an aversive stimulus have a negative impact on dog welfare”. In other words, they are harmful to dogs.Naturally, makers of the devices came out against the news countering the proponents’ data and using their own information, citing research indicating that around 300k cats had been spared from deaths by car because of the use of shock collars to keep them within their gardens and yards. Interestingly enough, in June of 2018, Psychology Today also reported on the issue and looked at the use of electric collars and other similar devices. I was pretty shocked to see what they had discovered, and even more so when I read the report and saw that a lot of the data dates back more than a decade. For more than ten years, scientists and dog experts have understood that many shock collars were just the easy way out. This is the nature of many easy fixes in the world, and further supports the idea that it is positive reinforcement that seems to always be the preferable approach to training a dog. Yet, I also discovered that there is a debate about using them on “homed” dogs versus “shelter” dogs. In other words, in a shelter, it is often seen as acceptable to use shock collars to break dogs of behaviors that might interfere with their potential for adoption. However, some disagree with the use of such methods on a homed dog or dog already long-established in a household and being managed with a shock collar when there is ample time for better training. I am a realist and understand that not every pet parent has the kind of time that I do to dedicate to training sessions. I also understand that many people just cannot commit weeks to get a desired behavior from their dog. The person who lives in an apartment, for example, and who goes to work during the day may be unable to wait for their dog to take the training and stop barking too much. to attempt to curb barking. Because I tend to get some pushback from others when I take a solid stance against shock collars, I thought it might be a good idea to do a quick review of a few things dog owners should know as they make a choice about whether or not to use them. I don’t think I’ve ever taken the time to delve too deeply into the history of these devices, and I was surprised to learn they date to the 1960s when they were used exclusively by hunting dog trainers. At that time, it was a method of curbing any stubbornness and also to reduce barking. It was also a method to train dogs to end any food aggression and any wandering. They were not meant to be punitive and were instead created to deter unwanted behaviors. As noted, it was meant to teach a dog that the bad behavior came with pain. Yet, those using them never looked at the underlying cause of a behavior. Barking, as a prime example, is often a way your dog communicates that there may be a problem. The dog might be actively guarding your home, in his or her opinion, and their barking might be to say “Hey, hey…do you hear that!” By using a shock collar to stop the barking, you are effectively preventing them from doing what it is they feel is their assigned duty. As pack animals, they need their role or they become quite lost, unhappy or problematic in terms of behavior. And while most collars have a “warning” mode in which they emit a sound or an initial vibration prior to the shock, these cues rarely curb a dog’s natural communicative efforts. 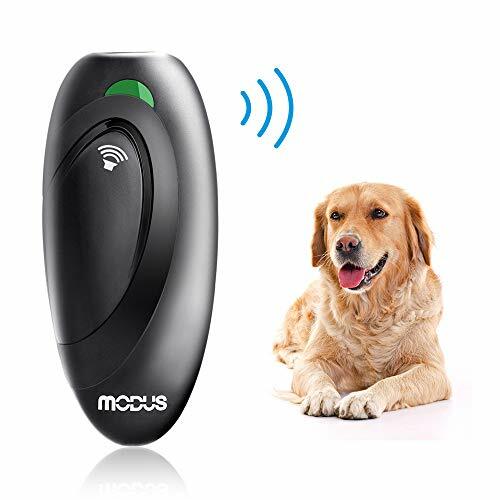 Just as the vibrating or noise making collars may not work to curb behaviors, the warning mode of a shock collar doesn’t tell the dog anything. Of course, neither do the physical training methods that use force to deliver messages. As an example, I always advise against the use of tugging or yanking on a dog’s lead during any sort of training. This, too, is negative reinforcement and doesn’t say anything to a dog, plus it can cause your dog to shut down, so to speak, since they are so confused about just what is going on. 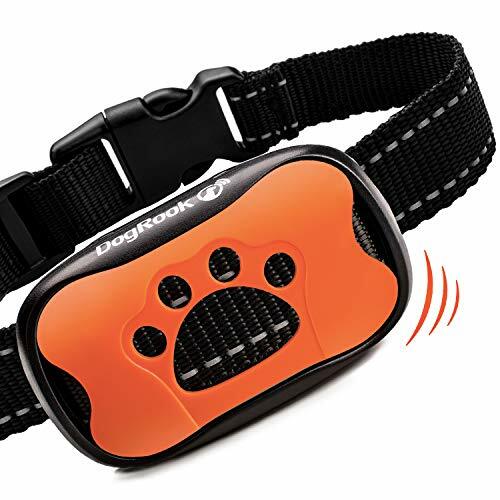 I cannot just keep bashing shock collars, though, without also wondering if there are any pros to their use. As I said, I understand why many people might use them – they are, as the researchers said, easy to see as an easy fix to a problem. The wandering dog, barking dog, dog who jumps up on people, food aggressive dog…these are all problems that could be “tempered” with the use of a shock. Those who advocate them insist that it takes only one or two shocks at the lowest setting for many dogs to learn what they need to learn. Most collars are adjustable in terms of their intensities and can be dialed down to “warning only” modes or set higher for dogs that seem unfazed by initial jolts. They do, as some experts, say yield near instant results. This is because they are, well, shocking. Consider almost any animal (people included), we learn lessons from pain. Burn your finger on a hot stove and you know not to touch its glowing red coils or metal surface. Yet, there is a flip-side to that – and it is that you are probably also going to be nervous or afraid around them for a while, or permanently. Some advocates also say that a pro to the collars is that owners don’t even need to be present to get the result they desire. 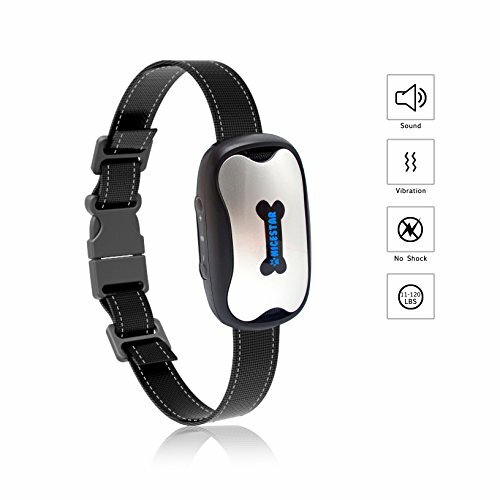 Whether for barking or wandering, the collar is going to stop behaviors whether you are in sight or at work. Yet, again, this leads us back to questions about the value of an “easy fix”. After all, if you are counting on the collar to be a babysitter or do some training, you are not likely to have established yourself as an authority. This leaves the door open to disaster. As a simple example of this, I had a neighbor who owned several Border Collies. Clever as they come, the dogs were champions at figuring out dog toys and puzzles and could learn lots of tricks. However, one of their younger dogs was a real challenge in terms of training. Very willful and curious, he was always looking for ways to get into trouble. The household counted on shock collars to keep the dogs within the property’s boundaries, but this guy figured out that he had to endure a brief jolt and would be clear of the electric fencing. They kept turning the intensity higher, and one day he leapt out and was gravely injured by a car. He made his way back to the yard but didn’t have the energy or strength to leap back through the fence. While they realized he was gone and found him in time to get him help, I think of it as a cautionary tale. Why not simply train the dog who is clearly smart enough to learn many things? I am glad to know I am not alone in my dislike for the use of shock collars, and also that I am not alone in feeling that training with positive reinforcement is a much better approach. If you do find that you need some sort of supplementary tools to training, or a method of keeping a dog quiet while you are not at home, you can opt for the no shock bark collars. I’ve recommended a few in the past, but have also suggested the use of noise machines to distract a dog who is barking. These are machines that play sounds at frequencies that only dogs hear and it refocuses their attention, eliminating their need to bark. I recently wrote about ways to survive in an apartment with a yapping dog, and in that piece, you’ll find steps for training a dog dedicated to barking to change their mind about it. That’s the thing – your dog is thinking about something when they bark and when you use shock collars, you are altering their thoughts and perception in a way that is painful and harsh. This isn’t necessary and if an entire government agrees with me, I can live with that!